Good morning, Nashville. We’re now a little over a week past the flooding and it’s pretty unbelievable how far the city has come in just one week. Though we’re still committed to bringing you guys the most up-to-date information that we can about the aftermath, we’re going to try to get things somewhat back to normal (or the new normal, at least) around here. We so appreciate you guys being patient with us and sticking around through the craziness. Tide Loads of Hope. We are oh-so-thankful for the folks at Tide Loads for Hope, who are rolling into town as we speak to do some laundry for flood victims. And don’t worry, they’re bringing their own water! Washing starts Wednesday at 8am at the Dollar General located at 2403 Lebanon Pike. If you want to volunteer, keep an eye on their Twitter feed. Ins and outs. 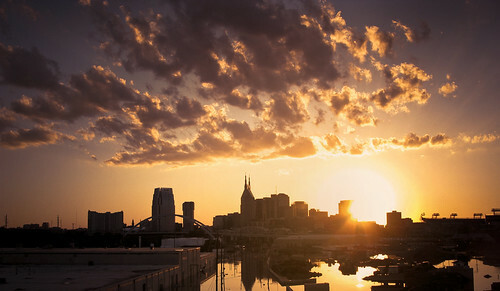 The City Paper takes a detailed look at the many factors that came together to make Nashville flood in the first place, and where all the floodwater goes from here. No love for renters. When it comes to repairing damaged property for landlords and renters, FEMA won’t be able to provide any assistance. Rest easy. We’re going to see some rain and storms today, but no worries- It’s not going to flood.